Polomolok extend help to Visayas. Photo from Batang Polomolok Facebook Page. 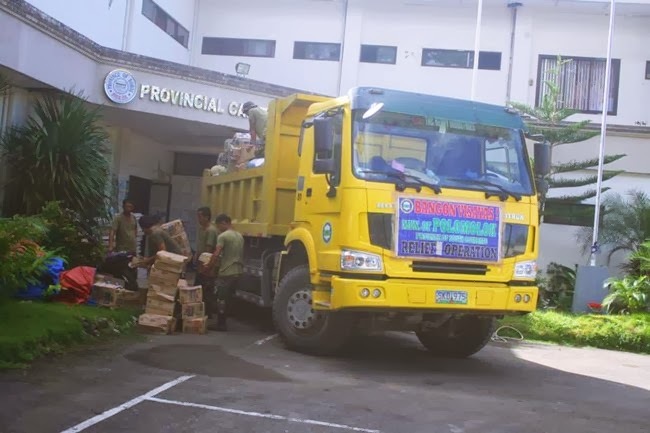 Earlier this week, about three (3) truckloads of relief goods were sent by the municipal government of Polomolok, South Cotabato to typhoon-ravaged Tacloban City and Samar province and areas in Bohol which was hit by 7.2 magnitude earthquake last October. The relief goods, consisting of rice, bottled water, canned goods and other food items and clothing were gathered from residents across different barangays of Polomolok, donations from local companies and organizations. Visit Batang Polomolok HERE for more photos.